One of the first and most important points that Dunning makes is that the first few years of the 21st century represented the high point of a business cycle in the Toronto region. Buoyed by expanding employment and low interest rates, many homeowners "traded up" to larger properties, renters entered the homeownership market, and investors acquired rental properties. After a period of intense housing market activity that began in the mid-1990s, housing starts, new home sales, and employment growth are now beginning to decline. The weakening of the U.S. dollar, the prospect of rising interest rates, and the retirement or early retirement of baby boomers are contributing to this decline. On this basis, Dunning cautions against projecting forward from market peak conditions. The higher the employment rate, the higher the rate of net migration to the Greater Golden Horseshoe, especially the Inner Ring. However, as the baby boom generation retires, the workforce participation rate will decline, depressing net migration. The higher the cost of housing in the Greater Toronto Area (GTA), the lower the rate of net migration into this part of the Greater Golden Horseshoe. 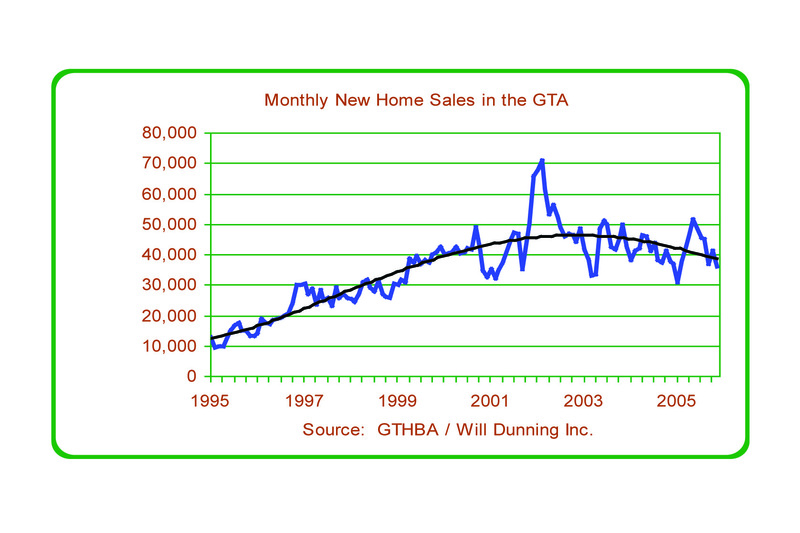 Currently, housing costs in the GTA are rising, deflecting people into Outer Ring. 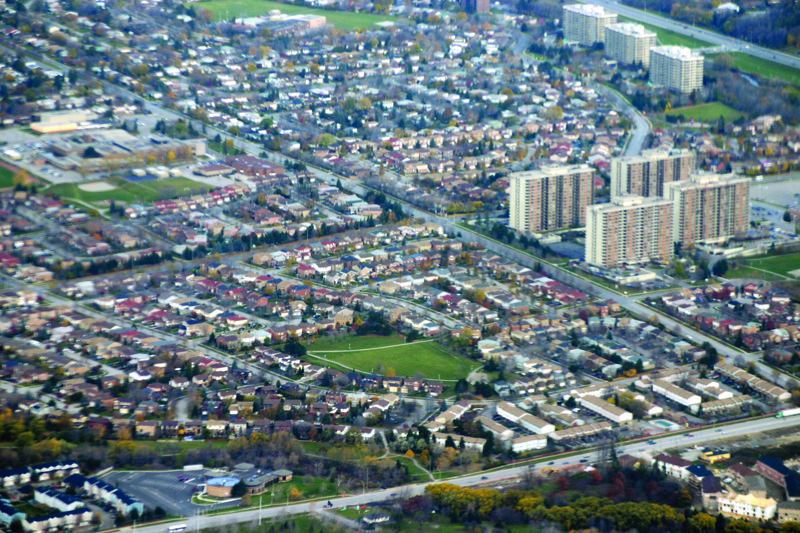 If house prices in the GTA remain at or above present levels, a higher proportion of people than anticipated will choose lower-cost housing outside the GTA in the outlying areas of the Greater Golden Horseshoe. After studying the 1987-2004 period, Dunning found that when the cost of singledetached housing increases, homebuyers tend to choose lower-cost housing forms such as townhouses and apartments. Increases in both interest rates and the value of the Canadian dollar as well as the introduction of more stringent land use regulations suggest that the real cost of housing will increase, resulting in a long-term shift toward these lower-cost housing forms. Dunning cautions against assuming that the rate and form of housing market growth associated with the recent economic boom will continue indefinitely. 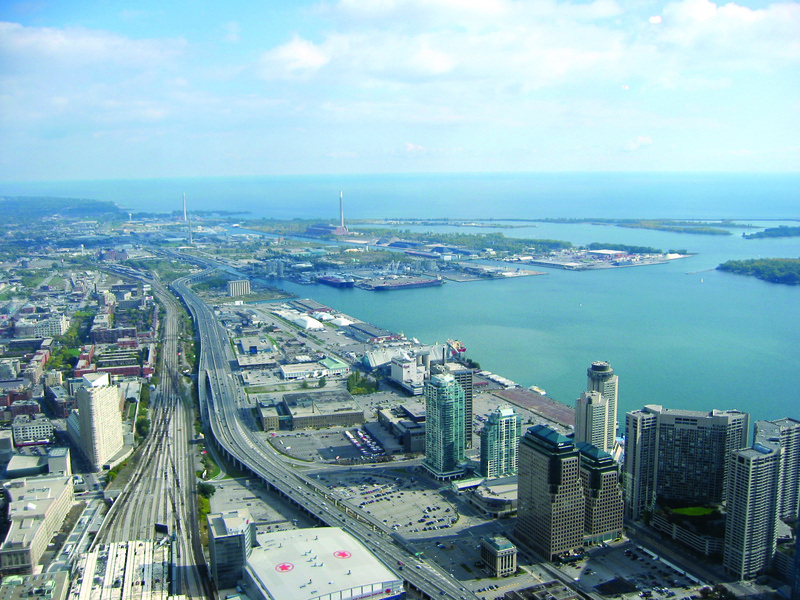 His projections indicate that growth in population, jobs, and dwellings between 2005 and 2031 is likely to be considerably lower than in other recent forecasts commissioned by Neptis and the Ontario government.